Dianne Ensor has been working as a makeup artist for 20 years. Her training was initially in Australia at both the Sydney School of Makeup Art and The Pivot Point Hairdressing School. Later she trained further in New Zealand. Dianne has worked on a variety of overseas productions, such as The Grudge in Japan, Jonathon Creek in the UK and promotional work at the NAPTE convention in the USA. In NZ her work history includes the New Zealand feature River Queen, television dramas Lawless, Interrogation and award winning Being Eve. Dianne has also worked on many American productions in key design positions such as Hercules, Young Hercules, Cleopatra 2525, Jack of All Trades, You Wish, Raising Whalen, Fearless and many more. She also assisted internationally-acclaimed makeup artist Joanne Gair with her successful body painting books. Dianne′s skill base is wide ranging. Her work embraces fashion, contemporary, character, fantasy, period and SPFX makeup. She has a strong aptitude in wig work, hair styling and design and is an expert hair knotter. Before opening The Makeup School Dianne had completed three series as Makeup and Hair Designer for New Zealand's number one award winning television drama Outrageous Fortune. This led to Dianne collaborating with the Auckland Museum in the making of a 3D promo for the Outrageous Fortune exhibition. More recently, Dianne worked on the feature film Mr Pip directed by Andrew Adamson as Key Makeup & Hair concept Designer. She continues to work in the industry along with running and tutoring at The Makeup School. 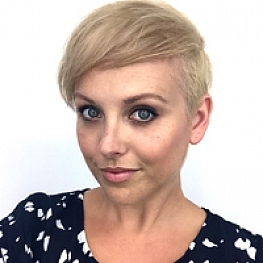 Gabrielle trained in London's prestigious film, TV and Fashion makeup school GREASEPAINT and has been working in both London and NZ ever since. With over 23 years experience in this challenging industry, her work in London included photoshoots, editorial, advertising and film work. She completed a two year contract with the Victoria and Albert Museum in Covent Garden as their inhouse makeup artist. While in the UK, Gabrielle also owned a SPFX/facepainting company FACE IT which employed experienced makeup artists and attracted clients such as Princess Catherine of Yugoslavia, Lord Litchfield and painted the faces of Princes Harry and William. On returning to New Zealand, she has worked on many productions of which have included Peter Jackson’s The Frighteners, Tommy Knockers, Xena: Warrior Princess and Hercules for several years. She is highly experienced in the design of makeup and hair for the following genres: Contemporary, Period, Adventure, Science Fiction and Fantasy. Gabrielle was the makeup designer for many American television series such as Young Hercules, Jack of All Trades, Cleopatra 2525 and the film Riverworld. Gabrielle has worked with many news presenters and sports celebrities on a variety of projects from TV commercials to magazine shoots and was the on-camera makeup stylist alongside Paul Serville and Susanne Paul on Touchdown’s television series Style Challenge. 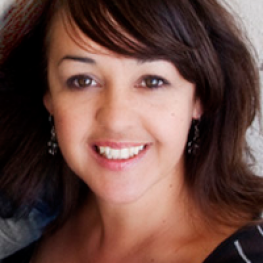 Locally she has been makeup designer for such drama series as Nga Puna and Mataku, which she was nominated for Contribution to Design at the NZTV awards in 2004. Before opening The Makeup School, Gabrielle worked on the Walt Disney production Power Rangers for 5 series as Makeup/Hair Designer and was Makeup Designer for Walt Disney’s movie Skyrunners. More recently, she designed the set up of the makeup department for the re-launch of Power Rangers — Samurai Series. 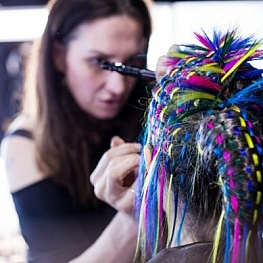 In 2011, she travelled to Papua New Guinea to work as Makeup/Hair designer for Andrew Adamson’s movie ‘Mr. Pip’ starring Hugh Laurie. 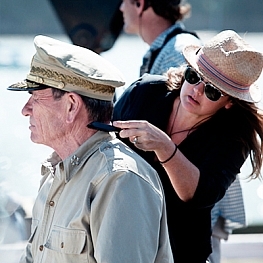 2012 Gabrielle was Makeup/Hair Designer on World War II movie ‘Emperor’, staring Tommy Lee Jones and Matthew Fox. Since then she has completed another two movies as Makeup/Hair Designer. One (‘Beyond The Known World’) taking her to the Himalayas in India and the other was working on New Zealand Film director Toa Frasers latest feature film ‘6 Days’ which was filmed both in NZ and London. Both movies are still to be released. Sarah started her hairdressing career over 14 years ago completing an apprenticeship and going on to gain her National Certificate. She worked for Servilles for several years where she was a finalist in the prestigious Loreal Colour Trophy which led to working with the Loreal Creative team for fashion week. Sarah then went on to study makeup, joining the M.A.C team and working on numerous show with designers such as Zambesi, Juliet Hogan, Twenty seven names, Nicole Miller and Trelise Cooper. Other freelance work included the Vodafone Music awards, the Style Pacifica Awards and several M.A.C body painting master classes painting the models prior to the events with Lordes makeup artist Amber D.
Sarah discovered her passion for teaching while managing a hair salon where she was responsible for training and development. This led to teaching hairdressing at a hairdressing academy. Currently along with still being on the M.A.C. freelance team and looking after her two small children, we are now very fortunate to have Sarah as one of our core tutors here at The Makeup School. 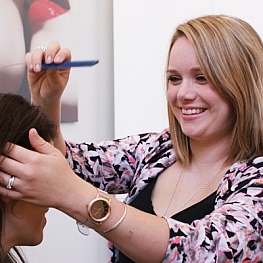 Bex started her career as a hairdresser working in a demanding and creative salon environment. After moving to Melbourne she began managing and training staff in a large urban salon. Make up was her passion so she enrolled in an Art School learning Make up Artistry. Once graduating she was fortunate to begin assisting one of the tutors in film and theatre. Returning to Auckland Bex began freelancing and worked on TV shows such as ‘last man standing’ TV3, TVNZ, commercials, photography and stage shows. This led to her joining the Makeup and Hair team for TV drama ‘Shortland Street' where she stayed for eleven years. This was such an incredible and unique learning experience, being able to work full time on a long running iconic TV show. After 5 years Bex jumped up to become Makeup Designer for the show and loved being on set daily, working with actors, producers, directors, crew and developing her team. Most recently Bex worked with Bobbi Brown managing the PRO Britomart store, developing the business and setting up PRO for NZ artists, representing the brand in editorials for Mindfood, NZ Weddings magazines and was Head designer for NZFW Bridal couture. She filmed weekly for TVNZ ‘Kiwi Living’ real woman reveals’ and shot for NZ Wedding Bridal website. Bex enjoys public speaking, teaching corporate woman about beauty, fashion and enhancing confidence. We are very excited to have Bex on board our talented team as Creative Director. She continues to freelance working with actors, presenters, models, brides and all woman. She is inspired by collaborating and telling a story through the visual medium coupled with mentoring and developing both people and business. With a passion and artistic flare for makeup, Nicola completed her makeup qualification in 2000 and since then has worked for cosmetic houses such as L’oreal, Lancome and Napoleon. She went on to work for M.A.C Cosmetics, was often on set, backstage and behind the scenes, and has worked closely with N.Z fashion designers and ponsored celebrities, including international Kanye West tour with U2. She headed M.A.C.’s makeup team for NZ music awards along with personal makeup design for Bic and Boh Runga, Atlas and Elemenop. She has had a number of published editorials over the years in Fashion Quarterly, Pulp, Remix & Metro. Her work has been seen on the catwalks for NZ and Sydney fashion weeks, working with NZ designers Juliet Hogan and Trelise Cooper. Nicola has also been involved with photoshoots & music videos for Anabelle Fay, Atlas, Anika Moa. Nicola has worked with another senior M.A.C artist for a season of the TV3 comedy, The Jaquie Brown Diaries. She is very happy to now be part of The Makeup School team working as Senior Makeup Tutor. Nicola has a passion for teaching and developing students artistry and industry skills. More recently, Nicola has been designing "looks" as key makeup artist for The Westpac Red Collection at New Zealand Fashion Week and the charity event Fashion For Quake. Kimberley has a passion for makeup-artistry and the fashion industry. She has gained an extensive knowledge while developing and refining her skills during the 5 years working full time for M.A.C Cosmetics. During this time she has had the opportunity to work on numerous shows including New Zealand fashion week for designers such as Ruby, Zambesi, Trelise Cooper, Stolen Girlfriends Club, Huffer, Whiri, Twenty Seven Names and many more. She held the position of team leader or the Key Makeup artist for various shows. Kimberley has worked for other designers such as Jimmy D, Lara Parker and frequently worked on Look Books for Ruby and Liam. Kimberley's work can be seen on the pages of fashion editorials in magazines such as NO and BLACK. She also has had the opportunity to work backstage at Style Pasifika and the Vodafone NZ Music Awards. She is now pursuing a new exciting direction in her career as a part time tutor at The Makeup School, where she hopes to inspire students and share her knowledge and skills with them. She continues to work also as a freelance make-up artist for M.A.C; specialising in fashion, beauty and bridal makeup. Dan has been in the industry for over 20 years starting out working on a horror feature film which lead him straight onto Lord Of The Rings, keeping him employed for 2.5 years. Dan moved to Auckland in 2001 and worked on numerous impressive productions such as The Last Samurai and The Lion, The Witch and The Wardrobe before Designing and Supervising the prosthetic department of TV series Power Rangers for 3 seasons along side Head of Department Gabrielle Jones. 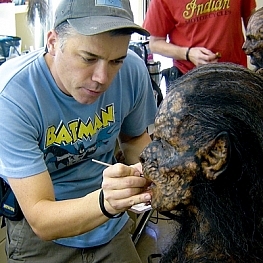 In 2008 Dan joined forces with Mainreactor Workshop and supplied prosthetic appliances and supervised such shows as Legend of the Seeker, Spartacus, The Evil Dead remake and 2 seasons of Ash v Evil Dead. He is now about to start on the second season of the Shannara Chronicles. He enjoys all areas of makeup effects but his love is with painting finishing and airbrush work on his own creations. This is Dan’s third year teaching special effects makeup at TMS and we know our students are very fortunate to have such a gifted prosthetic technician in the classroom who passes on so much of his years of experience and knowledge. Abbie Gardiner works fulltime as a freelance makeup artist with over a decade of experience in her field. She offers creative makeup design for Runway, High Fashion, Editorial, Commercial and Television productions and numerous magazine spreads. Her no.1 passion is being involved in Wedding, Special occasion makeup and Educating woman on how to apply makeup correctly. Abbie also collaborates with many of the countries leading hairdressers. She was awarded Industry Makeup Artist of the Year 2016 and has travelled and represented New Zealand over in Monaco receiving the Bronze Award and more recently she is off to Barcelona for the International Wella Trend Vision Competition. Abbie has a wonderful relationship with MAC Cosmetics and was awarded Freelance Artist of the year 2014. She enjoys sharing her passion for the industry she loves and mentoring like minded people that share the same passion. We are lucky to have Abbie as part of our talented TMS team and it is so rewarding to know our students are learning from the very best. Tiveshni is a full time Freelancer. She holds a conjoint degree in Fine Art and Art History and worked in Advertising for many years before she fully realised her passion in becoming a Hair and Makeup Artist. She really embraces the industry as a whole and works to keep her skills both sharp and diverse. Based in Auckland she has worked in theatre, fashion, TV, film, commercials, special occasion/event makeup and most recently education. 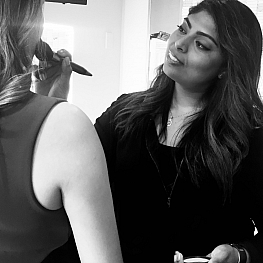 Tiveshni really believes in education and loves sharing her knowledge with students as a freelance tutor at The Makeup School. Continually working to deepen her own skills she recently travelled to Portland Oregon for an exceptional week of intimate masterclasses with the likes of Alex Box, Sir John, Troy Surratt and Roshar to name a few. She is a Senior freelance Makeup Artist at Maori TV and has also worked with The New Zealand Dance Company as well as various Local Fashion Designers and on New Zealand Fashion Week. Tiveshni's work has been published in magazines such as Remix, M2 Woman, Lutefisk and several covers of Vane. She is also proud to have been apart of The Hui team since its first episode aired in 2016. Working with actors, models, presenters and most of all real women, she loves the transformative nature of her profession. For Tiveshni it's about making that person shine in their own special way. Cara has been working in the Makeup industry since 2011 when she complete her makeup qualification. Not long after completing her course she went on to grow her knowledge and skills with the prestigious M.A.C cosmetics. Her signature style is beauty and fashion makeup. Working for M.A.C Cosmetics, allowed Cara to take up some incredible opportunities, such as team leading New Zealand Fashion Week shows for some of the countries biggest designers such as Company of Strangers, Miss Crabb and Nom D. Cara has extensive knowledge in editorial work and photo shoots with other fashion designers such as Stolen Girlfriends, Moochi, Kate Sylvester, Lela Jabobs, Trelise Cooper, Zambesi and Huffer. Some of Cara's career highlights include working alongside industry professionals and creatives such as photographers, stylists and hairdressers. Her editorial work can be seen frequently in magazines such as remix magazine. She also was key makeup director for charity runway show 'Fashion in the Park. She has a broad knowledge of the fashion industry, working closely with stylists and photographers on look books, backstage and leading teams of M.A.C artists at fashion week. 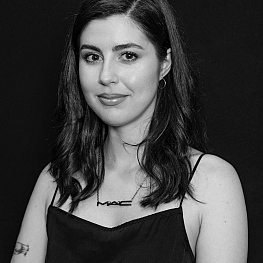 Cara is currently a team member at New Zealand flagship M.A.C Pro Britomart store and is excited to have joined the TMS team as a part time tutor where she can share her knowledge and inspire up and coming makeup artists.